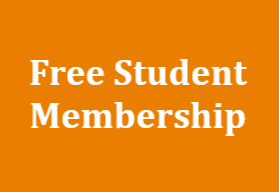 Throughout the 1980’s and 1990’s every Queensland member of the Kodály Music Education Institute of Australia, and almost every member in Australia, knew or knew of Lenore Bateman of Brisbane, and of her contribution to music education in general and to KMEIA in particular. It was with much sadness that members learned of Lenore’s death on Wednesday 19th April at the age of 72. Lenore had been forced to retire from teaching in 2001 because of Parkinson’s disease, and when she developed Alzheimer’s about five years ago she needed full time care. Lenore was the devoted wife of Bill, loving mother of Peter and Paul, and proud grandmother of Emily and Jessica, twins Charlotte and Declan, Caitlin (decd) and Alyssa. Lenore Bateman was one of KMEIA’s most beloved and respected members. 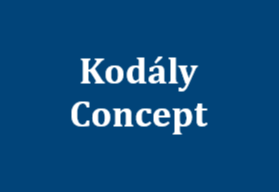 The Foundation President of the Queensland Branch, Pam Burton, confirms that Lenore’s involvement with the Kodály movement goes back to the second meeting held in Brisbane. Lenore then served KMEIA in a range of positions for over two decades, as Queensland Vice-President to Judy Johnson from the early 1980s and as State President in mid-1991, a position she held for five years. Lenore became Vice-President again, this time to Astrid Schummy. At one stage (Astrid places it somewhere in 1996), when others were unable, for various reasons, to carry on in their elected roles, Lenore was simultaneously Vice-President, Secretary, Treasurer and Newsletter Editor – while also serving on the National Council. 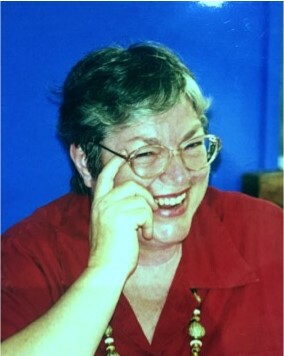 Lenore was elected to the National Council in 1991, she was a Vice-President in 1994 and then National Membership Secretary from 1998 until the end of 2000. Lenore’s years as Queensland Treasurer and National Membership Secretary coincided with the period when KMEIA was going through the legal minefields of becoming an Incorporated body, and when the GST was being introduced. The subsequent changes to accounting and record-keeping created an enormous burden, yet Lenore managed to implement new and efficient systems in each role, so that the tasks were more manageable for her successors. During her seven years as Editor of the Queensland newsletter, Lenore became known to most members of KMEIA, not only throughout the state but also in other parts of Australia. She was computer literate long before most of us knew how to use this new technology, and with the combination of her computer skills, her writing style, and her determination to find interesting content, Lenore consistently produced newsletters of excellent quality. We know, from speaking to members in other states, that Lenore’s Editorial standard set a new benchmark for KMEIA newsletters. Lenore was committed to maintaining links with all members, wherever they might live, and in providing members with worthwhile information. Her newsletters were responsible, to a large extent, for maintaining the high renewal rate of memberships that has been enjoyed in Queensland over the years. She became, as it were, a regular ‘visitor’ to the homes of KMEIA members through her lovely editorial messages and the other personal touches she put into each edition. Members knew that if they had any query, Lenore would have the answer at her finger tips – or find it very soon. How she continued to produce six great editions of the newsletter every year, for seven years, is a source or wonderment to all who have ever been editor of any publication! What is even more significant than the actual amount of work that Lenore undertook for KMEIA, however, is that she brought to these multiple roles her talents, intelligence, industry and dedication – and her gentle smile. Tasks were never just “done”; they were done competently and with Lenore’s unfailing good humour. Before completing a BA(Mus) at the University of Queensland as a mature-age student (married and with two young children) Lenore had taught secondary Maths and Science for thirteen years, at schools in Sydney, Brisbane and Rockhampton. She was an extremely well-read person on many topics, and brought this depth and width of knowledge to her music education career which spanned various sectors of education. As outlined in a newsletter article from 1984, Lenore conducted the first Music for Children classes in Brisbane, for what was then called KEIA. She then taught primary and secondary classes at two well-known boys’ colleges – St Joseph’s, Gregory Terrace, and St Laurence’s, South Brisbane, and was the co-author, with Ian Dorricott, of two books which evolved from their own teaching experiences. The World of Music (Books 1 and 2) are excellent and proven resources for middle and upper primary grade classes, an area of music teaching that many people find daunting. The happiest 13 years of Lenore’s music education career were at St Laurence’s College, where she was greatly loved and appreciated. The school’s teachers, parents and students (past and present) were saddened when Lenore’s ill-health forced her to resign from what had been not just a job, but a vocation. Most conversations with her would include at least one story about her students, told with love and humour. For many years, Lenore was the person we could ask about the history of KMEIA in Queensland. Fellow committee members will always remember Lenore at meetings and functions with her large bulging handbag, from the depths of which she could find just about anything! Those who travelled with her to National Council meetings in the years when they were held in Sydney, were never quite sure how she managed to board the plane without having to check-in her handbag as luggage! In 2001 Lenore was awarded Honorary Life Membership of KMEIA for what KMEIA’s Founder, Deanna Hoermann, has described as Lenore’s “outstanding contribution …. to the Kodály work in Australia” and her “work and dedication to music education ….over so many years.” Lenore will be greatly missed, but she will live on through the work of the students she influenced, while her KMEIA friends will treasure the many kindnesses that Lenore extended to members, both individually and collectively, over 25 years. 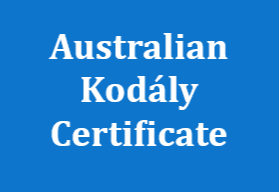 Her extraordinary contribution to the Kodály Music Education Institute of Australia was given without any thought of personal gain. She was a wonderful music educator who exemplified what is best in the Kodály philosophy, and a constant reminder of all that is beautiful in the pursuit of music education. Lenore Bateman’s work for KMEIA truly was a labour of love and she will always have a special place in our hearts, and in the history of KMEIA. In honour of such an extraordinary educator and life member, the Queensland Branch of the Kodaly Music Education Institute of Australia would like to offer a scholarship in Lenore’s name. This scholarship will assist teachers to further their education by attending KMEIA National Conferences. National Conferences are held all over Australia which can be difficult for our teachers to afford to attend. If you would like to donate to Lenore’s scholarship, please contact KMEIA QLD at info@kmeiaqueensland.com.au.